Should You Setup A Malaysia Shopify Store For Your Home Business? Have you been doing your research online and reading Shopify reviews on the internet? If you are, chances are you are thinking of setting up your own e-commerce store for your home based business. In this article, I won’t be writing about the pros and cons of Shopify because many people have already wrote about it. Instead, I will share my personal experience running my own online home based business. One of my earlier home business, I’ve tried selling prepacked baby porridge on the internet. 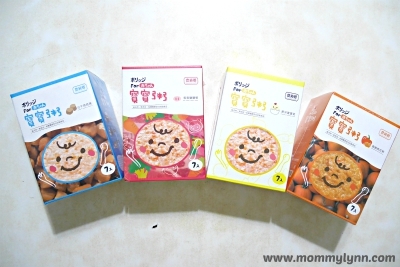 I’ve did my research and I wanted to promote a product related to babies and I’ve decided to sell the baby porridge from Taiwan. I managed to find a supplier in Malaysia for the product and bought a few boxes to test. The objective is to setup an e-commerce store using Shopify so that I can list the baby porridge on my website and take customer’s orders. But before I setup my e-commerce store, I wanted to try to promote the baby porriddge on Facebook. I went to mommy related groups on Facebook and started promoting my baby porridge. The entire process was actually quite challenging because I have to be careful when I post in the group. Sometime the group admin didn’t like what I was posting and decided to ban me. The mommies that were interested on the baby porridge Private Messaged (PM) me. However, Facebook itself also prevented me to send my website link within FB Messenger. Marketing on social media such as Facebook is a tedious process. When I do managed to close a sale, I realised another problem. The sales amount for an order is very small, ranging from RM15 – RM50. In the end, I’ve spend a few days on FB posting in mommy groups and managed to generate a small order. The total profit I’ve made from all of my effort online was less than RM15! If I were to setup my Shopify store, the money I generate most probably will not be enough to cover my monthly subscription fee of RM120. Many new online entrepreneur do not know about this challenge. If the product you are trying to sell is of small value, the amount of profit you generate will be too small to sustain your business. If you are looking for a product to list on your e-commerce site, try to look for something which is of high value. Forget about trying to sell cheap stuff which you can source from China. The profit that you’ll make is so small it will not worth your effort. Luckily after my experience selling prepacked baby porridge, I’ve changed my business plan and started promoting something which of bigger value and has a much bigger target market. I’ve managed to find a unique wearable technology garment in the health and wellness market. The product is of premium pricing because it is fully designed and made in Japan and imported into Malaysia. I am wearing the unique garment in the picture below. If you are interested to know more, please click in link below to contact me on WhatsApp and I’ll be happy to share with you.